Interested in seeing what opera is about? Would you like training whilst singing as part of a choir? Would you like to see how this combines with performance acting in an operatic approach? ​Our ideal outcome for wanting to do this? 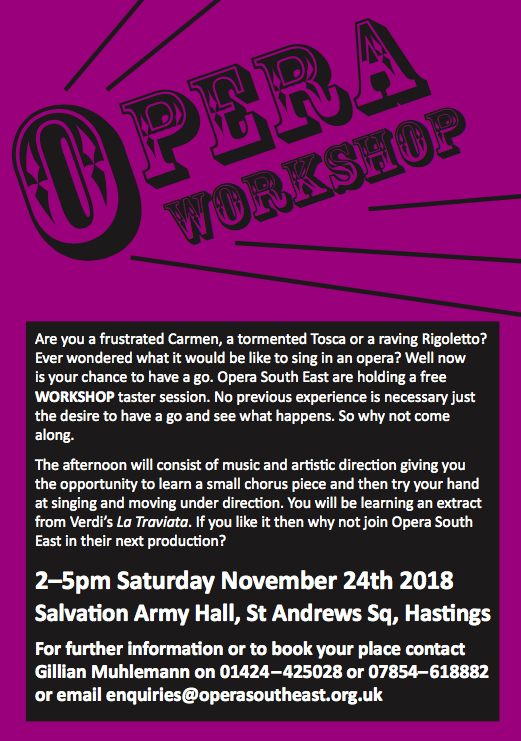 Well to tempt you into finding something special about opera and we hope you'll consider joining our next opera production as part of our chorus. Please let us know if you're interested at any point before the event itself, either via this form below, or getting in touch with our Chorus Mistress on the contact details shown on the poster to the right.